The company «SpetsTehTreyding» opens doors to the world of incredibly diverse special equipment for development of your business. The uniqueness of our company in the whole Volga region is confirmed by many positive reviews of our customers during all six years of our business. We have won a reputation for leading world-class quality equipment and professional services of premium class of our customers. Very important for us is to get the trust of our customers, which allows us to be leaders in the machinery supply and prove our leading status by doing a great work. In addition, our company offers the best financial solution for your enterprise. 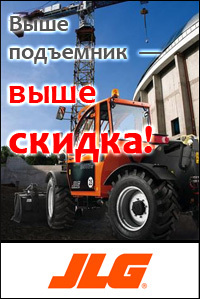 The company «SpetsTehTreyding» provides comprehensive construction equipment sales, from free advice and selection techniques that you can get through federal number (toll-free) 8-800-555-21-91 to the complex overhaul of your special equipment. The presence of the official dealer’s certificates of world brands confirms the guarantee of supply reliability and security. You will make the right choice if trust the delivery of your future technology to us. Hidromek (Turkey) - backhoe loaders, wheeled and crawler excavators. Atlas Weyhausen (Germany) - tandem rollers, soil compactors and wheel loaders. JLG (USA) - telehandlers and aerial platforms. Kubota - mini excavators manufactured in Japan and Germany. Dealer of Mustang (USA) - loaders of different capacity. «SpetsTehTreyding» - today is the choice of many public and private organizations on regional, national and international level. This choice made by profitability and safety working with us. 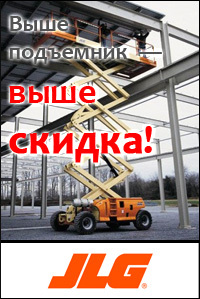 An extensive network among all the Russian Federation allows repairing of your machinery if it needed. Minimum reaction time service in the case of removing broken equipment or carrying out MOT.